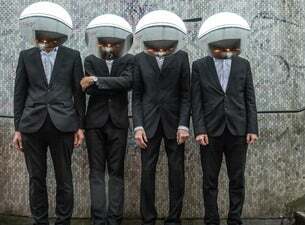 The Bristol-based Jazz quartet return with UK shows in 2019. The band released their seventh studio album Bristopia back in 2018, which was the follow up to 2015's Astonautilus. Originally formed when Portishead rhythm section Clive Deamer and Jim Barr hooked up with horns and electronics duo Jake McMurchie and Pete judge, GTB are influenced by everyone from Ornette Coleman to Tortoise to Blondie. Winners of the 2008 BBC Jazz Award, the group are renowned for never standing still - their unique sound and energetic live show embraced by their continual inventiveness.